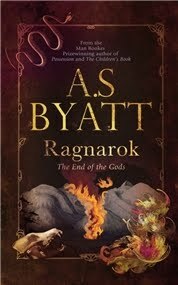 A.S. Byatt’s Ragnarok: The End of the Gods is the newest addition to the Canongate Myth Series. One of the things I have enjoyed the most about the series so far is the diversity of approaches it includes. Byatt’s take on Norse mythology is not exactly a retelling, though she does recount some well-known mythological episodes in her wonderful prose. But as Byatt explains in a brief essay included at the end of the book, she made the deliberate decision not to retell or update the stories of the Norse gods. What we find in Ragnarok is an account of the myths in W. Wägner’s 1880’s version, as first encountered by a thin child during wartime. The thin child believed in the eternal recurrence of growing things, and in weather. But if you write a version of Ragnarörk in the twenty-first century, it is haunted by the imagining of a different end of things. We are a species of animals which is bringing about the end of the world we were born into. Not out of evil or malice, or not mainly, but because of a lopsided mixture of extraordinary cleverness, extraordinary greed, extraordinary proliferation of our own kind, and a biologically built-in short-sightedness. Every day I read of a new extinction, of the bleaching of the coral, and the disappearance of the codfish the thin child caught in the North Sea with a hook and line, where there were always more where those came from. This point is subtle but ever-present all through Ragnarok; Byatt doesn’t drive the point home, and there’s no need to. As she well knows, our current knowledge makes it nearly impossible to read the apocalyptic descriptions in Ragnarok and not make the connections. Another point Ragnarok explores is the war’s role in halting the cultural exchanges between the Germanic world and the rest of Europe, at least temporarily. Reading Asgard and the Gods during WW2, the thin child wonders “who were the good and wise Germans who had written Asgard and the Gods to collect ‘our German stories and beliefs.’” This was a theme in The Children’s Book, and Byatt returns to it here. The loss of these interactions is only one among the many losses of war, but nevertheless it’s worth considering. Ragnarok: The End of the Gods is a very grim book, but it’s equally beautiful. The things Byatt does with language have always amazed me, and this is no exception. Ragnarok is a short book, but it’s filled with the kind of descriptive passages some readers find frustrating about her writing, but which I personally love. In the case of Ragnarok, I love how visual, detailed, but still infused with thought the descriptions are – you can feel the thin child’s eyes behind everything, and it makes the world precarious, moving and intoxicatingly beautiful. You can almost hear the wheels in her mind turning as she takes it all in and it begins to make a storyteller out of her. The picture gave the child an intense, uncanny pleasure. She knew, but could not have said, that it was the precise degree of formlessness in the nevertheless scrupulously depicted rocks that was so satisfactory. The reading eye must do the work to make them live, and so it did, again and again, never the same life twice, as the artist had intended. She had noticed that a bush, or a log, seen from a distance on her meadow-walk, could briefly be a crouching, snarling dog, or a trailing branch could be a snake, complete with shining eyes and a flickering forked tongue. This way of looking was where the dogs and giants came from. The stone giants made her want to write. They filled the world with alarming energy and power. The thin child fished in the pond for tadpoles and tiddlers, of which there was an endless multitude. She gathered great bunches of wild flowers, cowslips full of honey, scabious in blue cushions, dog-roses, and took them home, where they did not live long, which did not concern her, for there were always more springing up in their place. They flourished and faded and died and always came back next spring, and always would, the thin child thought, long after she herself was dead. Maybe most of all she loved the wild poppies, which made the green bank scarlet as blood. She liked to pick a bud that was fat and ready to open, green-lipped and hairy. Then with her fingers she would prise the petal-case apart, and extract the red, crumpled silk – slightly damp, she thought – and spread it out in the sunlight. She knew in her heart that she should not do this. She was cutting a life short, interrupting a natural unfolding, for the pleasure of satisfied curiosity and the glimpse of the secret, scarlet, creased and frilly flower-flesh. Which wilted almost immediately between finger and thumb. But there were always more, so many more. It was all one thing, the field, the hedge, the ash tree, the tangled bank, the trodden path, the innumerable form of life, of which the thin child, having put down her bundle and gas-mask, was only one among many. The thin child’s father said it must come down. It was a wild tree, out of place in an urban garden. The child loved the tree, and loved her father, who had been restored to her against all her grim expectations. She watched him take an axe to the tree, singing as he hacked, making logs, a stump, bundles of brushwood out of the living wood. A gate closed in her head. She must learn to life in dailiness, she told herself, in a house, in a garden, at home, where there was butter again, and cream, and honey, good to taste. She must savour peacetime. But on the other side of the closed gate was the bright black world into which se had walked at the time of her evacuation. The World-Ash and the rainbow bridge, seeming everlasting, destroyed in a twinkling of an eye. The wolf with his hackles and bloody teeth, the snake with her crown of fleshy fronds, smiling Loki with fishnet and flames, the horny ship made of dead men’s nails, the Fumbulwinter and Sturt’s conflagration, the black undifferentiated surface, under a black undifferentiated sky, at the end of things. I have this one sitting on my Netgalley shelf and I admit I'm a bit scared. I loved The Children's Book but her book of fairy tales lost me. I have only read one book by Byatt, and it was very good, but very cerebral. I am uncertain as to if I would check this one out or not, due to my inability to concentrate fully right now. I loved reading your reflections on it though, and find it interesting that the child doesn't believe the stories, yet they bring her some measure of comfort in a way. Like you, I delight in Byatt's words and the way she puts them together. Thanks for this wonderful introduction to Ragnarok. I've only read Possission by her (which I loved), and have "The Virgin In the Garden" waiting in the TBR. Interesting that she never gave the child a name. Why do you think that was? When I first heard Byatt was publishing a book called Ragnarok, I assumed it would be a full-text version of Ash's poem from Possession, and I still think that would be so intensely awesome that I'm a little bummed the actual Ragnarok is "just" a novel. Still, expectations aside it sounds like this is worthwhile too. :-) I'm glad you posted on it & started me on the long road from disappointment to excitement. Beautiful review, Ana! I liked your observation 'intoxicatingly beautiful' :) Having recently discovered Byatt's beautiful prose and having fallen in love with it, I can't wait to read this book. I love the fact that Byatt has reinterpreted Norse mythology in this book. I loved this book too, the bit that has really stuck with me is the section on the midgard serpent - just wonderful. But why doesn't the child have a name? I hate it when people don't have names in books UNLESS they are a minor character OR the writer is Daphne du Maurier and the book is Rebecca. I picked this up at the library a few days and now I'm even more excited to read it! I haven't read any books by this author but the more reviews I read the more I think I definitely should. This book sounds right up my street. I've only read a handful of the series, but I really enjoyed them and must pick up the rest at some point. Everyone seems to be singing Byatt's praises lately :) I'll have to try to overcome my fear! This one sounds very interesting, but maybe not the best introduction to her works? Amy: There were a few misses for me so far, but overall the series is excellent, yes. And this one is now one of my favourites! Chris: I hope you'll enjoy this one! If you don't, at least it's a quick read. 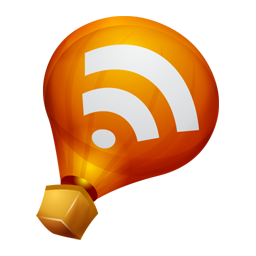 Kelly: Glad to hear it! Zibilee: Yes, her writing things to be like that in general, but this is one of her most acessible books, I'd say. Gavin: I have no doubt you'll love this! Alex: Good question! There could be many reasons, but I'd guess that it has to do with the usual structure of myths. She says at one point that myths don't tend to be character-centred, so perhaps she was trying to evoke that in this novel. In that sense it wouldn't matter who the child was - only that she read the myths during the war and they shaped her world. Vishy: I hope you'll enjoy it! And I have a feeling you will! Desperate Reader: Yes, that section was just gorgeous! Claire: Enjoy! Looking forward to hearing your thoughts. Jessica: She's one of my very favourites. I hope you'll enjoy her stuff! Trisha: I want all the ones I don't have yet as well. Such a great series for the most part. Bina: There's nothing to fear! I actually think this would be a great intro - it's extremely acessible and a quick read, and it will give you a feel for her style before you try one of the longer ones. BooksDogsCoffee: I hope you enjoy it as much as I did. Oh, I do enjoy Byatt's words as much as you do and am very much looking forward to this one. Must admit that Possession link that Emily mentioned crossed my mind as well but happy to meet this one wherever it falls. I've read and enjoyed several of the Canongate Myths series - and I recently added this one to my wish list - yours is the first blogger review of it I've read. Still sounds tempting! I don't know why books always seem slightly more sinister to me when the author doesn't give the main character a name. This sounds great. 'Iceland' by Betsy Toibin got me interested in this set of myths and I think you'd really like it, although it's a bit of a breezy read. It's very focused on Freya. Her version ends with hope for renewal, but I suspect that's because she's rewriting the myths in their own time, not relating them to modern dystopian thoughts. Wat you say about the end of German cultural exchange with Europe is so interesting. There's a car that was the best car of its day in Germany, that's now pretty much impossible to find, because the Nazi's wanted the best and after the war no one wanted to be associated with that car. I guess Byatt sees this kind of thing replicated in literary exchange. I read a little bit about certain German artists creating after the war and the way they had to face the shame of their country's involvement in so many horrific acts to be able to produce anything, because ignoring what had happened just wans't an option, it had been too publically exposed (like it would probably have been had the totalitarian government remained in power). I recommend this book called 'Portrait of the Mother as a Young Woman' if you're looking for something interesting on that kind of topic. Frances: After reading Emily's comments I couldn't help but wish that book existed as well. But I hope you'll enjoy this one anyway! Tracy: It's one of the best so far, I think. Aarti: the series had a few duds so far, but like you I just love that it exists. It's such a good idea! Jodie: Thank you for the recs! I've seen some mixed reviews of Iceland, but it sounds like something I could enjoy. Byatt does mention the hopeful ending in some versions of the myth here, but her character reads an annotation saying it was a "Christian contamination" of the original ending and holds on to that because she found the bleak ending more satisfying. Also, Portrait of the Mother as a Young Woman sounds great - that's a Pereine, right? I think Byatt did an excellent job of showing what was lost due to that kind of barrier in The Children's Book, and I've always meant to read more about it. Although I LOVED Possession a couple years ago when I read it (and liked her fairy tale collection), I have yet to read THE CHILDREN'S BOOK (it's on my shelf) and this one (it's on my netgalley shelf) because I'm afraid I won't love it as much. But, given how much you and other bloggers love Byatt, it sounds like I just need to start reading it. I'm really fascinated about the Canon mythgate series. I've only read one of them, I think. Wow. Seriously, wow. I can't tell you how happy I am that you put this on my list! I have a feeling I am going to fall hopelessly in love with this book, despite its grim nature. Maybe partially because of it, if that makes sense. I'm in the middle of reading it now, and so far I like it. I do think, however, that it would be better if there were some italic to separate quotations from the book. I love the poetic language; so far, the book is a delight to read despite the dark themes.